Another great ACC battle is on tap when Duke takes on Virginia in Charlottesville just after nine o'clock this evening on ESPN2. 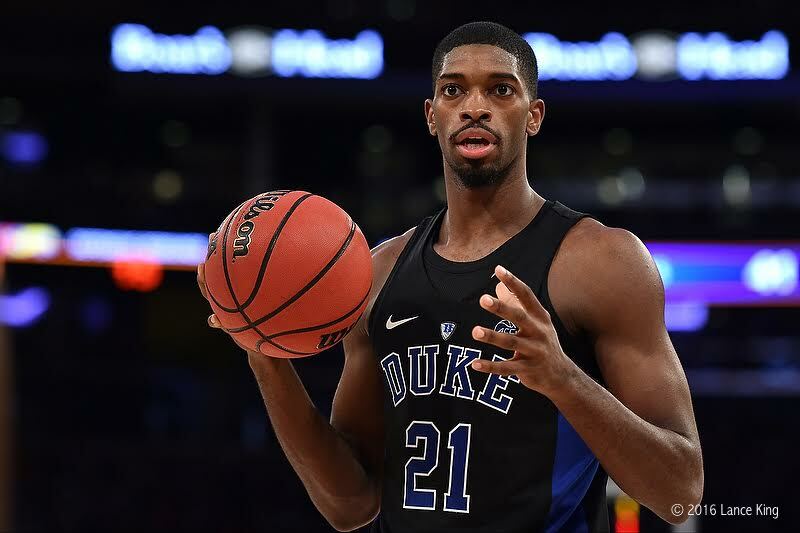 The Blue Devils are coming into the game riding a five game winning streak while the Cavaliers are smarting from a close road loss to Virginia Tech. The Cavaliers have been solid at home and the Blue Devils come into the game as a six point underdog. Virginia is in need of a win in that they have dropped three out of their last five games. One of those losses came on the road to top ranked Villanova in a game many though they should have won. In short, their losses have been close. One gets the impression that Duke will see the Cavaliers best effort. In order for this to happen, Virginia will force Duke into a grinder of a game they want to keep in the sixties. Virginia has a way of literally getting into your chest on defense which frustrates their opponents. The player who makes the Cavaliers tick is London Perrantes, an All ACC candidate and the teams leading scorer. Oddly, the Cavaliers do not have a single player averaging over 13 ppg. But what that says is they are very team oriented and that you must guard all positions. Virginia plays eleven players 10 plus minutes a game. This balance allows them to really get after you on the defensive end. They will ride the hot hand, be it Marial Shayok or Kyle Guy. They rebound from every position on the court, so keeping a body on them is critical. Virginia often goes small with their line ups, so expect Duke to be forced to do the same. In their win over Clemson, Duke played small almost the entire second half. It will be interesting to see how Mike Krzyzewski plays his bench which consists of freshman big men Harry Giles and Marques Bolden. It will be a challenge to keep his team fresh for crunch time versus a deep team. 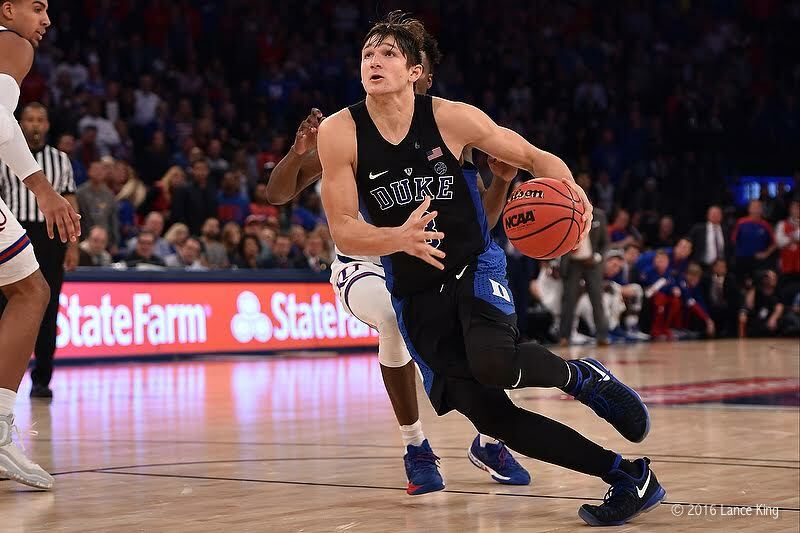 Duke has been hot of late, but there are still many doubters. The close win over Clemson reminded many that the team is still not quite there yet. When I say there, I mean consistent effort nightly. However, one only has to look to the NBA where Golden State and Cleveland had shocking losses after big wins. In short, don't make too much out of the close win over Clemson hours after the Blue Devils emotional win over North Carolina. 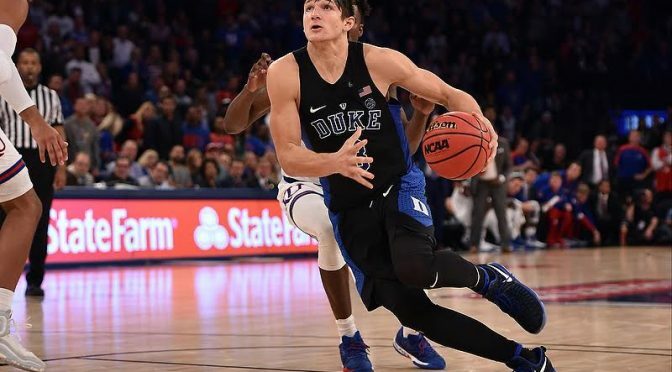 With all the injuries and missed time from Krzyzewski, the Blue Devils have toughened up. By nights end, we'll learn even more about this team. With a win, everybody is talking about them again. With a loss, the doubters will say they told all that the Blue Devils are still not ready for a spot in the top ten. The bottom line is that Duke and Virginia will go to war tonight. Both teams will leave it all on the court and if not, we know who the loser will be. This is a must win game to remain in the race for the ACC regular season title. This is also a must win game to stay in the top four of the league where teams get a double bye in the tournament. Duke must keep it's key players out of foul trouble. Duke will lean on its big three once again for scoring. Grayson Allen and Luke Kennard would be wise to get to the free throw line when possible. And this will be the toughest test to date offensively for freshman Jayson Tatum. It will be very important for freshman such as Tatum and Frank Jackson to not force things on offense against a pesky defense. Despite the Blue Devils being labeled the underdog, I like where the team is at this time. Duke controls its destiny and each of their remaining games are oh-so important in a heated race. I think Duke is the more talented team when fully healthy, but this game will come down to heart, effort and playing until the end. You can expect a close game where both teams should be emotionally drained when the buzzer sounds. The key for Duke is to play with discipline, The key for Virginia is to keep their crowd into the game. It should be a fun and tense game. Duke will have to play good team ball and trust one another to win. They will have to overcome a hostile crowd and what will likely be the Cavaliers best shot. The game is equally important to both teams. It will be a war. I look for Duke to keep it going in a hard-fought effort.